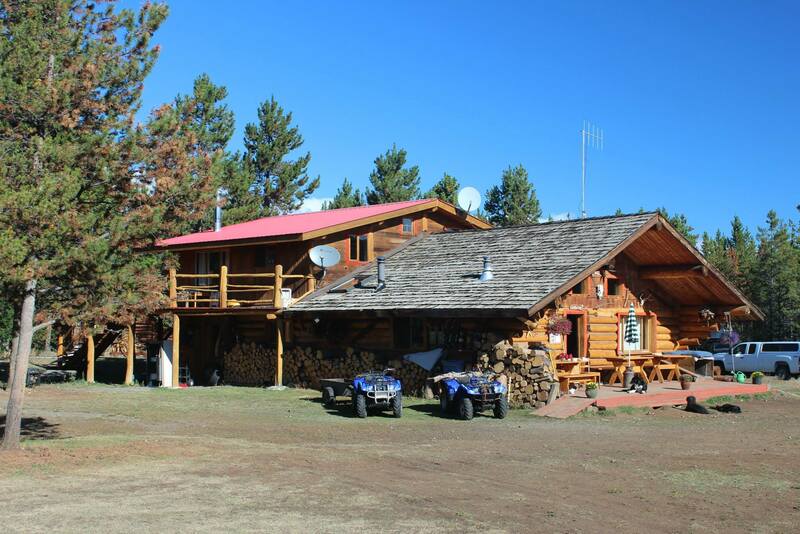 Our lodge consists of the main house and five log cabins for rent. The honeymoon cabin and the grizzlie cabin are a cozy place just for two while the other three cabins can accommodate 6-7 people comfortably and are ideal for families, small groups and friends. All our cabins except the grizzlie cabin offer following amenities: a small kitchen with fridge, a bathroom equipped with sink, shower and flush toilet. The interior of the cabins consists of a comfortable sitting area with a Yukon stove which creates a cozy atmosphere on cooler days and nights. Additional we supply the kitchen utensils, towels and bedding. For your perfect stay at our lodge we serve good home cooking and we welcome you to join us for a cool drink on our licensed bar / restaurant. When you look for cozy and rustic cabins, an adventure or just time to relax then the Chilko River Lodge is the perfect place to be and you are very welcome - guests at the lodge usually become part of the family quickly! As a thank you for our guests, who stay a bit longer, is every 7th night free.